Held on the downtown riverbank, this cook-off is open to professional and non-professional cooks. 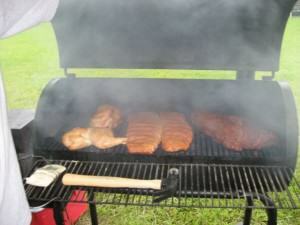 There will also be a children’s BBQ chicken cook-off open to ages 5-16. This event is an IBCA competition. Attendees will not be able to taste the foods, but food vendors will be available along with children activities and live entertainment. Visit http://www.natchitochesjaycees.com/ for registration information and regulations. This is an IBCA competition and all rules and regulations apply. Cash prizes awarded. Food vendors, entertainment and children’s activities throughout the event.